The holidays are a busy time of year. 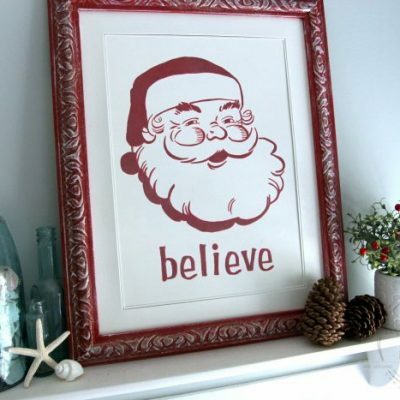 What better than to find simple, easy and budget friendly crafts for the holidays. 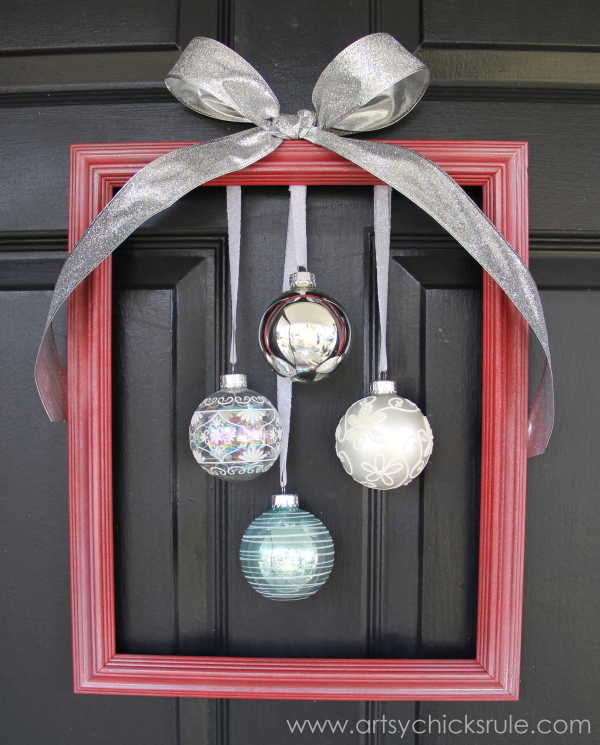 Like this thrifty find turned holiday framed ornament wreath. 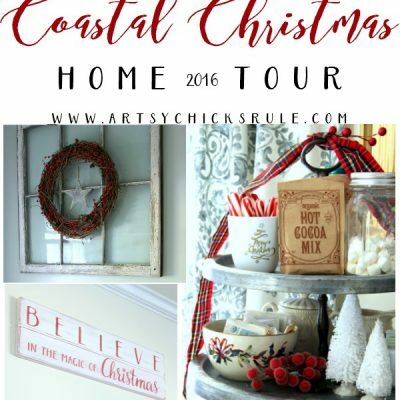 All week long my friends have been sharing beautiful and different ways they welcome guests to their homes during the holidays. 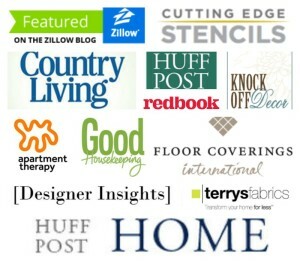 Today, I’m sharing with you something I made for my front door to welcome guests to our home…. 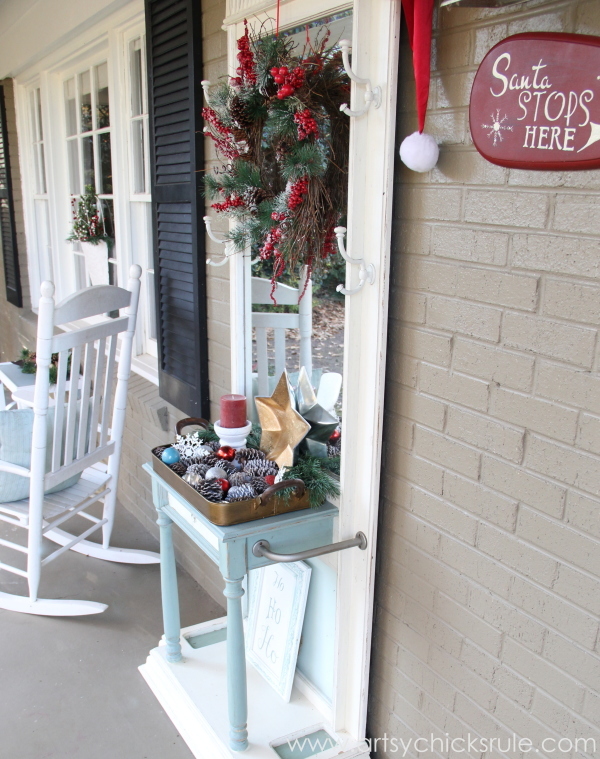 ….and a bit of our front porch that greets visitors as well in the “Welcome Home Tour“. 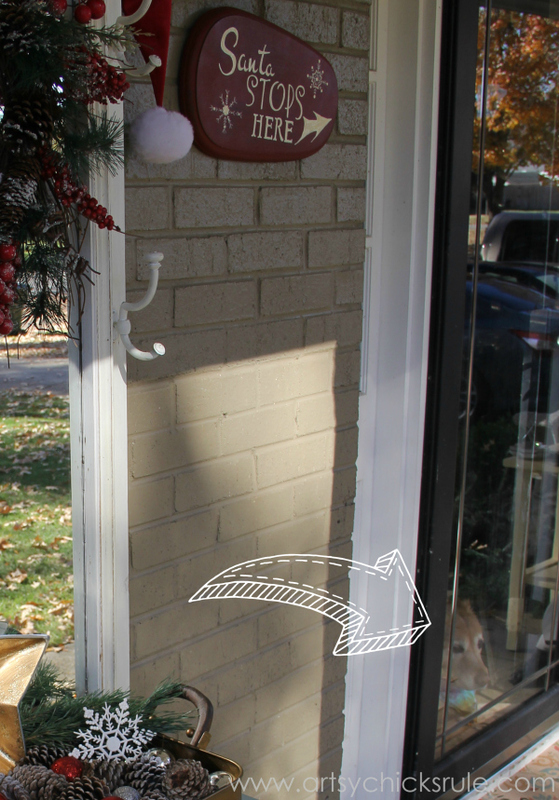 This DIY holiday framed ornament wreath was so easy…. It’s always interesting the things you find inside. 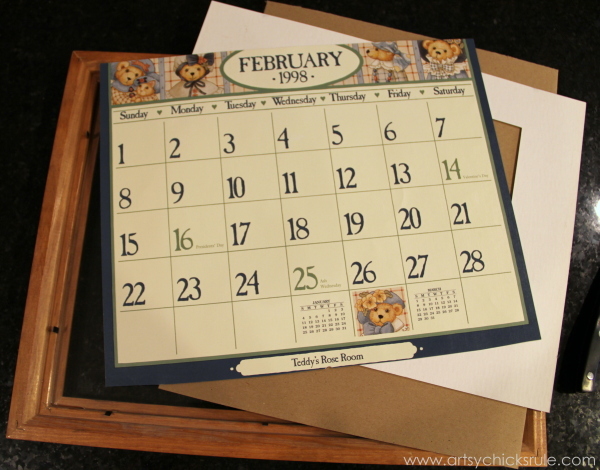 This was a page from a calendar someone framed. 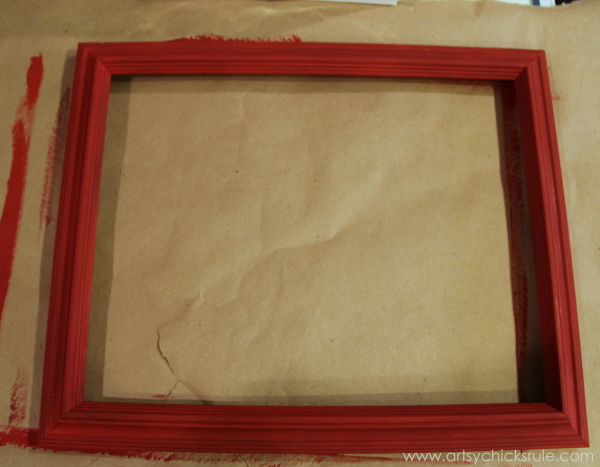 I painted the frame red. And then sprayed it with the pearly glaze I’ve been using a lot this season. I laid out the ornaments to see which I’d use. I had thought I wanted an odd number but I ended up with four because I liked the way that looked best. 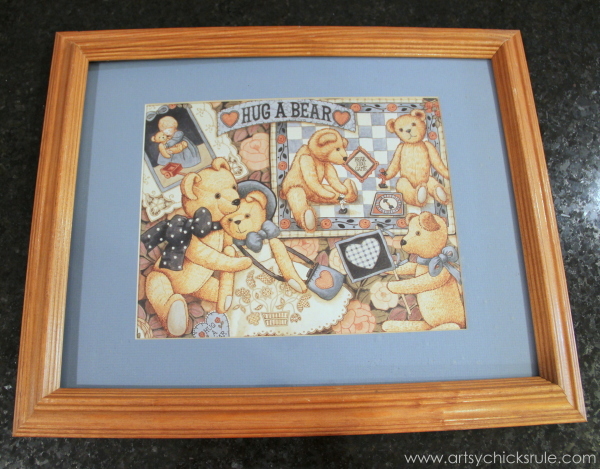 I used sparkly white ribbon and stapled it to the back of the frame as shown…. Mine is not stapling well anymore but good enough for this project. I decided to do a very simple bow on top. I wanted it to look like a present…and I think it does. 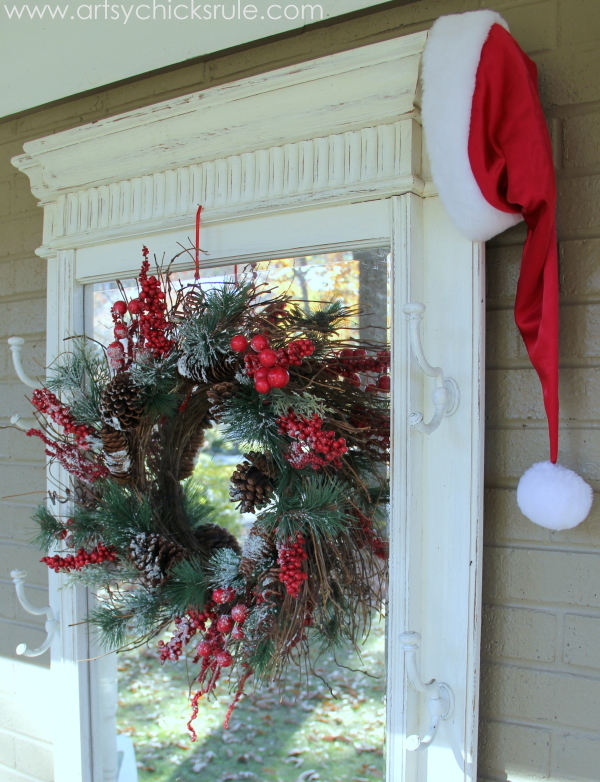 And again, the framed ornament wreath from the front…. I hot glued the bow on top…..and I was done. My first guests who saw it happened to be my sister in law and brother in law this past weekend. 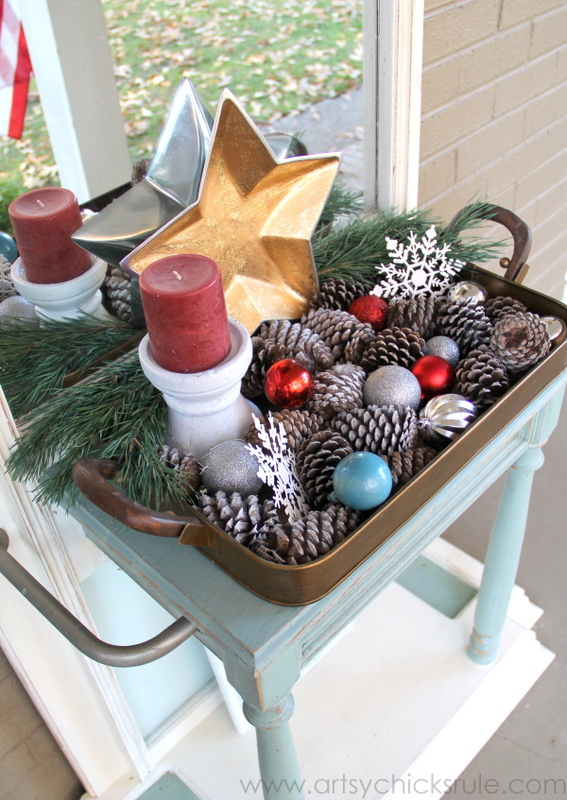 I also decorate a little on the front porch to welcome guests too. 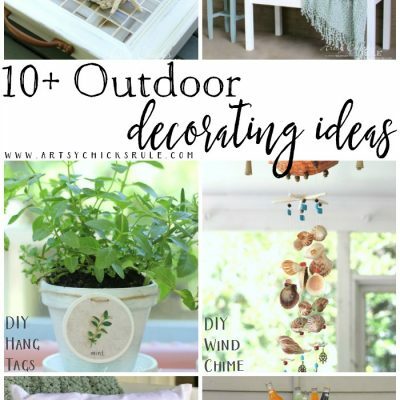 Like my hall tree (you can read about that project here — Front Porch Decor – Hall Tree) on the front porch. The pine cones came from the woods in my back yard. And the star dish is new this year. To me…it came from the thrift store too. I got them at a flea market a couple of years ago. $50 for the pair! Santa hat…came from the thrift store this year. I kept with my teal & red theme throughout the entire house, even out here, this year. 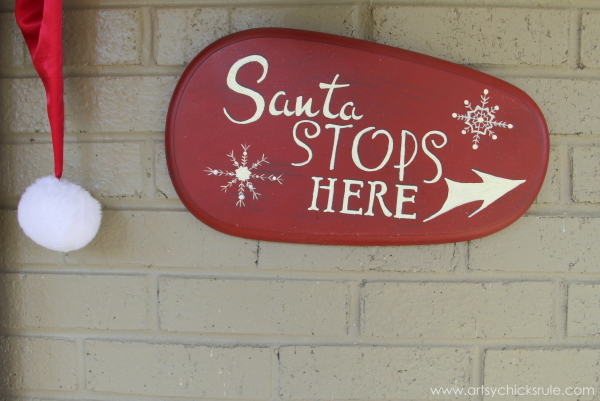 And my “Santa Stops Here” sign I painted a few years ago. I love decorating my “hall” tree on the front porch for every season. It’s a great space for it. Sadly, as I was decorating, it didn’t feel much like Christmas…it was 70 degrees! Crazy weather. I hate cold weather (hate!) but it must be a little chilly, at least, in the month of December. And last but definitely not least, my sweetie, Lexi girl, in her favorite spot to be when I have the front door open. Which happens a lot in this neighborhood. But that’s okay, she’s just protecting her family. 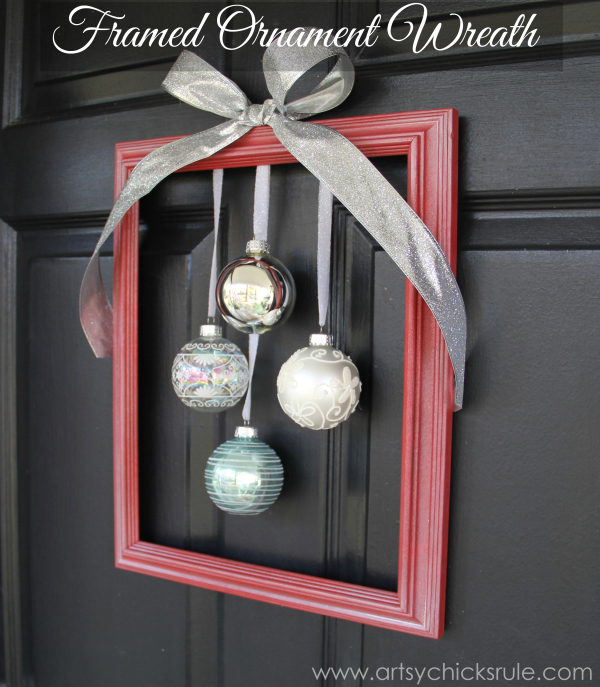 PIN this holiday framed ornament wreath to save for later! Be sure to see how the rest of my friends welcome you during the holiday season below! 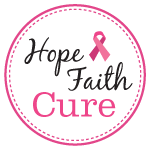 Affiliate links for a few others you may like. See my disclosure here. Beautiful! I love every special touch on your Christmas decorated porch. 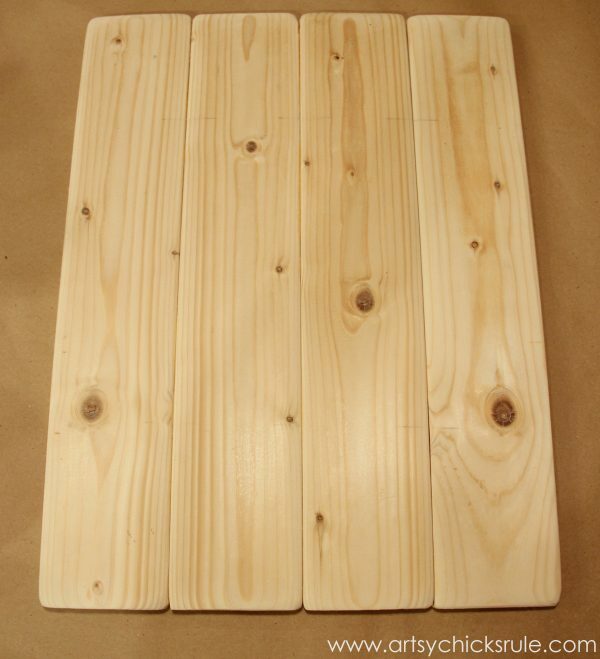 Your simple door wreath is very pretty! 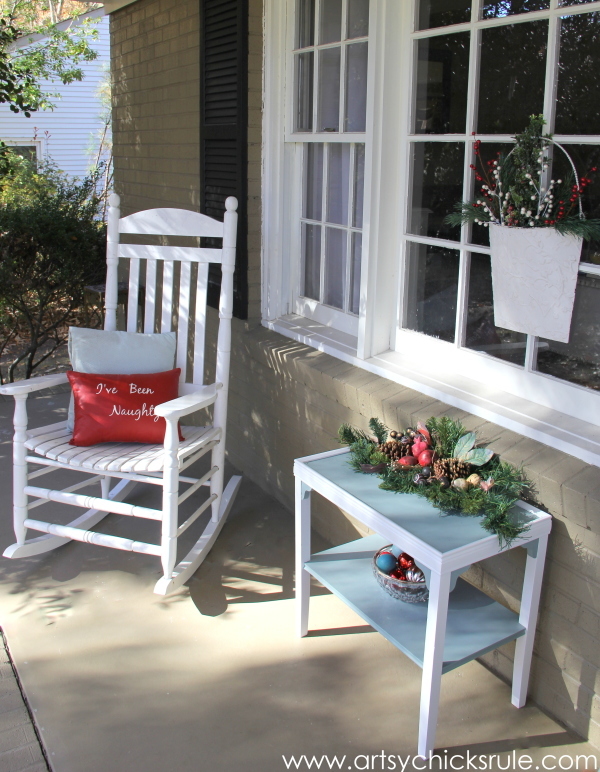 I love the hall tree on the front porch, what a great idea. 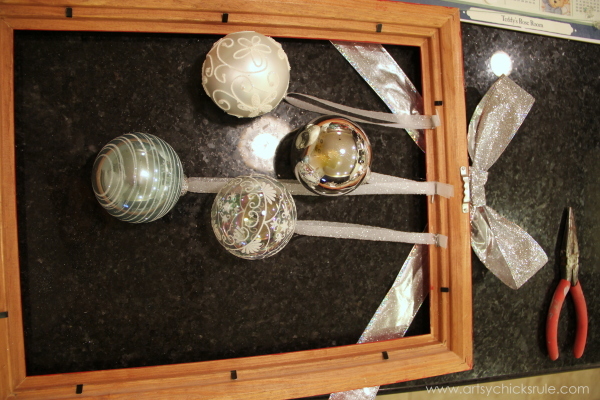 Your “wreath” of a frame with the ornaments is so clever! I would like to be welcomed by your front porch decor! Thanks Chloe! 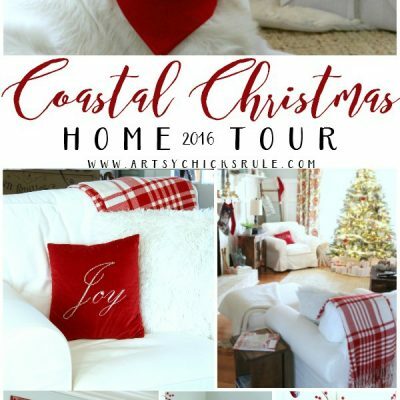 Oh, yes, and it’s so much fun to decorate all year! I agree, the pup is the best welcome ever!! 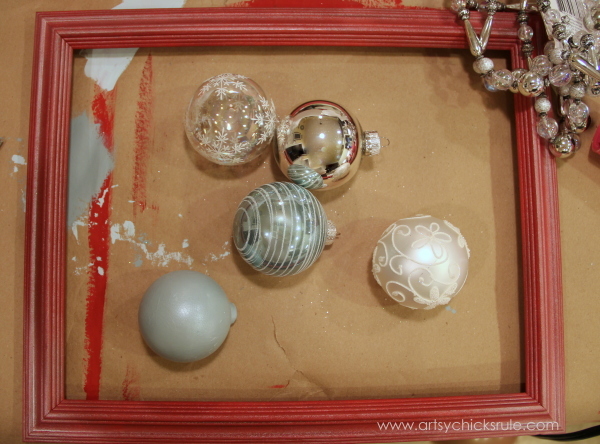 Love all your projects especially the red frame with silver Christmas balls!! What brand of pearly glaze spray did you use on the red frame? Sounds like something I would love to try!!! Thanks!!!! 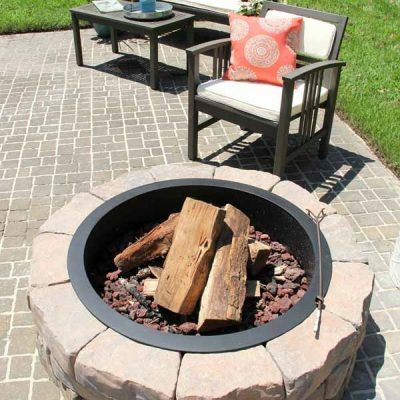 Your porch is to die for!!!!! The pearly glaze is coming up in a few posts (I thought I had already posted one about it but realized I hadn’t yet!..I’m updating this post to give the info). 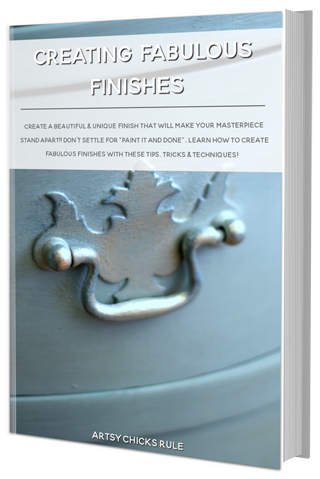 But it is made my Folk Art and is called Pearlcote Pearl Glaze in a spray can. There will be a photo of it when I edit the post. I did buy it on clearance though, so I am not positive it is still available which is sad, I love it! Oh yes, they are so easy to make!! I am really enjoying it. Something different this year! What a pretty front door wreath and so unique too! 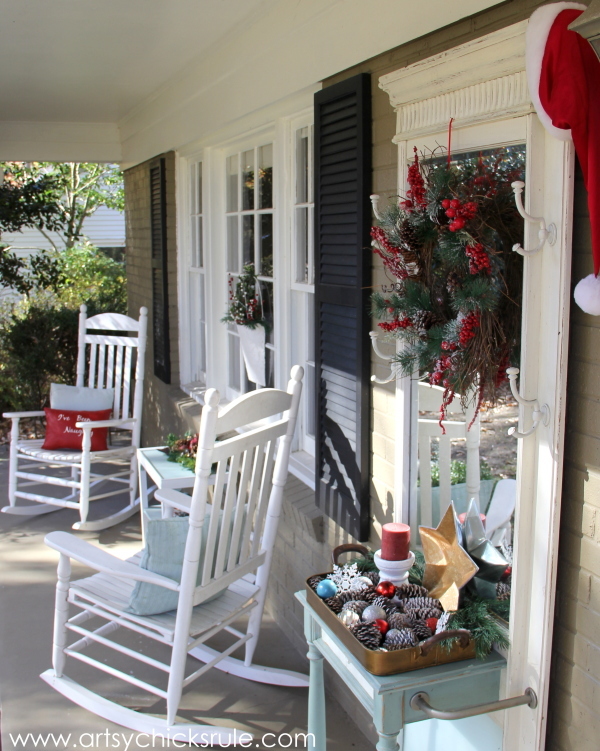 LOVE your porch,it’s so festive and inviting! 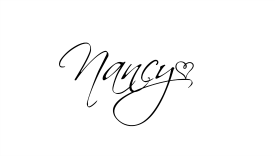 Everything is perfect, Nancy!! Love your new wreath and my favorite part is that you thrifted most of it!! I love that!! So pretty !!! Tks for share with us ! 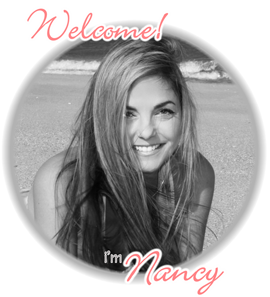 I love your decorated porch, Nancy! And I love, love, love the wreath on your hall tree! That is gorgeous! 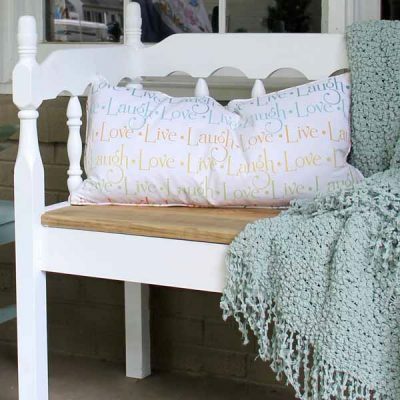 But the whole porch looks wonderful… so inviting! The pearl spray is one I’ve used a lot lately ( but realized some of those posts haven’t gone out yet!) It is a Pearlcote Glaze that I found on clearance at Michael’s made by Folk Art. Thanks so much!! I do enjoy decorating that hall tree! Ooh love your welcoming porch Nancy! And you have it looking so inviting and festive for Christmas! 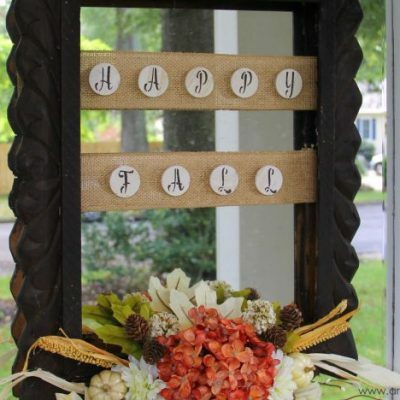 Fun wreath idea too! 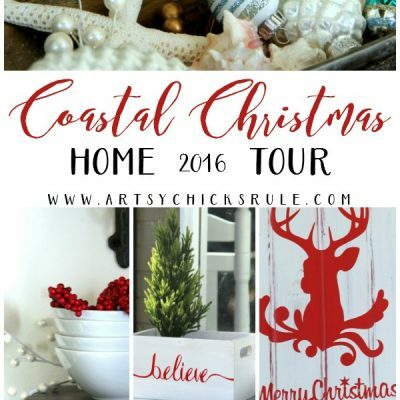 I love your Christmas decor! The red framed ornaments are too cute! Beautiful!! 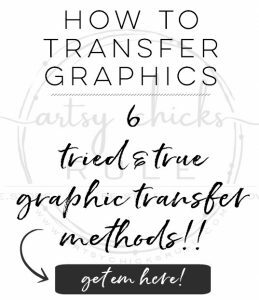 How easy yet so beautiful!! Love it!! 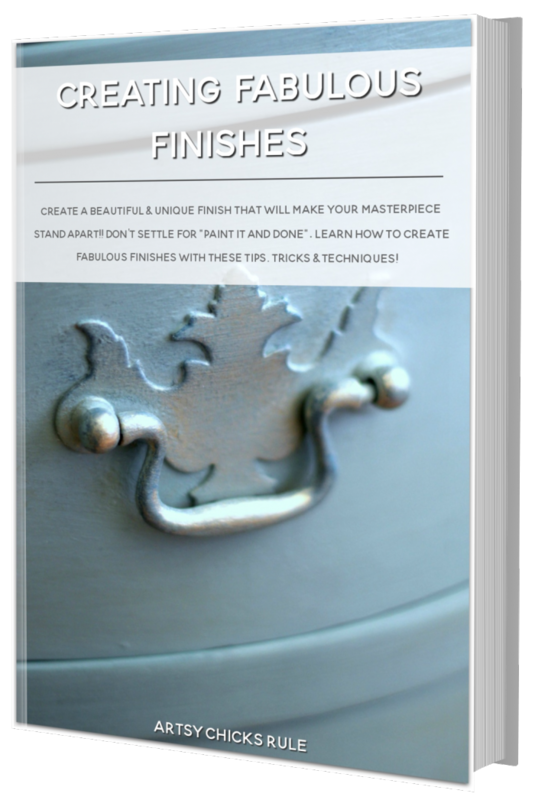 Nancy, I love the red frame sprayed with the pearl glaze and the ornaments added. That is just so cute! 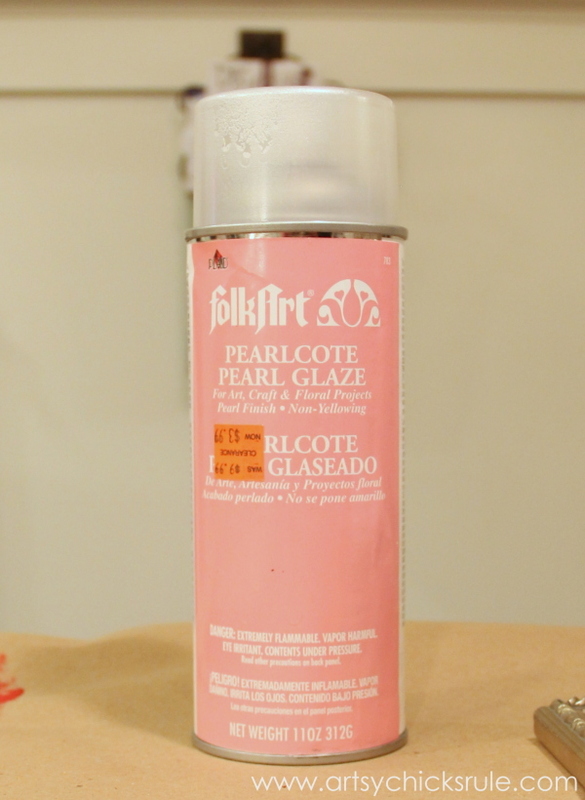 I ordered two cans of that Pearlcote Pearl Glaze the last time you used it on something because I loved it so much and was afraid it was being discontinued. And I think it must have been, because I recently searched Amazon, Hobby Lobby, Michael’s and eBay…. and it is nowhere to be found! Glad I bought two cans!